Philippe Darmuzey, ECDPM Great Insights magazine, Summer 2018 (volume 7, issue 3). In the decade ahead, Europe and Africa will need to come up with new partnership strategies that are manageable for a smaller EU and seize the opportunities arising from the Brexit vacuum. Addressing the huge challenge posed by demographic and migration trends will be a major task for the EU in the aftermath of Brexit. Demography, development, climate change, security, and geopolitics will continue to shape migration within and from Africa. 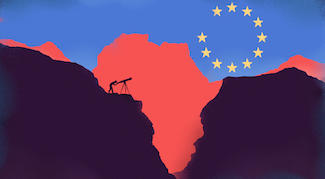 The new world order and African demographics beyond 2025 compel the EU to reconsider the relevance of its partnership arrangements with Africa. Currently these are formalised mainly in the ACP-EU Cotonou Partnership Agreement, the Joint Africa-EU Strategy (JAES), and the European Neighbourhood Policy partnership with Northern Africa. The risks and opportunities brought by Brexit will depend on the conditions of the UK’s withdrawal and its future relationship with the EU. The current ambiguity of London’s political strategy and the very real possibility of delays or crises affecting the negotiations suggest that both sides will need a long period of adjustment. Businesses and international partners are unlikely to know the new post-Brexit pattern of UK economic relations before 2025. This bodes poorly for Britain, Europe, EU-Africa relations, and world prospects. Britain: An inward-looking country or a new global actor? The campaign leading up to the referendum of June 2016 revealed that parts of British society have become more inward looking and hostile towards immigrants and the EU. On the external scene, this year’s Commonwealth Summit, held in London in April, took place against a backdrop of scepticism. Few found it credible that the Commonwealth forum could offer an adequate framework for the UK’s proposed new role as a global hub outside the EU, with London as the ‘Singapore on the Thames’. The British ambition to become a new global economic actor, moreover, is hard to reconcile with the calls of ‘Brexiteers’ to disconnect the UK from its links to the world’s largest trade bloc. Understandably, many world actors have had difficulty perceiving the subtleties differentiating a status as ‘à la carte EU member’ and, as May has variously described it, “a deep and special” or “ambitious” partnership. Economic indicators, meanwhile, signal the untenability of the British government’s position. The latest economic forecast, March 2018, estimated UK economic growth at just 1.5%, the lowest level among all EU member states. By optimising cross-fertilisation in regional integration processes, Europe and Africa can together benefit from the lessons Brexit teaches about resilience. ● The shaping and reshaping of EU policies in domains where Britain used to play a leading role, constructive or obstructive; such as development, trade, migration, defence, security, and global issues. ● The EU’s 2021-2027 budget, for which modernisation and reforms might be more smoothly pursued after Brexit. The aim is to “make [the budget] fit for the challenges of the 21st century”. This could mean a shift from agriculture and regional development to Europe’s new challenges, such as migration, defence, security, and climate change. The current European consensus on the need to support youth mobility is a priority that could be transposable to future Europe-Africa cooperation strategies. ● The re-negotiation of the EU-ACP partnership framework. August 2018 will signal the start of negotiations towards a post-Cotonou ACP-EU partnership beyond 2020. Europe needs to recognise Africa as the overarching political priority within the ACP group. Yet, no real link has yet been made between the renewal of the Cotonou Agreement and the Africa-EU partnership formalised in the JAES. Signed in 2007, the JAES was to set the stage for a new political relationship between the two continents. However, its results have been mixed. For the EU, Brexit offers an opportunity to put an end to two major shortcomings in Africa-EU relations. The first is the fragmentation of African participation, as Cotonou is limited to sub-Saharan Africa (only 48 of the 54 AU member states). 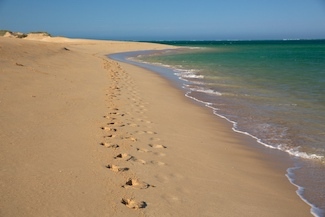 The second is the overall lack of ambition in the JAES, despite its innovative principle to connect Europe to the whole of Africa. With scattered resources and no legally binding provisions to accompany political declarations, the JAES has failed to evolve further than a complex multi-institutional framework between the EU, the African Union, and its regional economic communities. The post-Brexit EU-Africa partnership should encompass the African continent as a whole, rather than just the sub-Saharan segment of the ACP puzzle. Migration, a root cause of Brexit, is both a challenge and a priority and will connect Europe and Africa for the foreseeable future. The time is ripe to lift the political ambition of Europe-Africa relations up to the level of an effective strategic alliance, built on this priority as well as other areas of concern. In the current state of play of the negotiations, it is hard to predict what the future will bring for EU external action in Africa. The main areas of interest are, however, clear. Development: The UK is the world’s second-largest bilateral foreign aid donor, after the United States. It provided ODA to more than a hundred developing countries in 2017. A recession in the UK would weaken its ability to fulfil its aid and development commitments. There are some presumptions that the UK’s development policy will remain aligned with EU interests and policies after Brexit, as the goals of EU aid reflect British interests: prioritising global poverty reduction, combating climate change, and addressing state fragility (see also the articles by Tamsyn Barton and Linda McAvan in this issue). Trade: The UK’s primary post-Brexit focus will be on strengthening and expanding trade relations. The prospect of a no-deal crisis in autumn 2018 is sobering. In economic terms, the African countries most reliant on trade with the UK – Nigeria, South Africa, Egypt, and Kenya — would suffer most if the UK falls into a recession. Brexit does not diminish the case for a continued close association with Africa, as established by the Cotonou Agreement and regional economic partnership agreements (EPAs) (see Kennes, 2018). In the short term, Africa and its regional economic communities may be unable to renegotiate their economic and trade arrangements with Britain or to review their positions in the EPAs with the EU. But Brexit could open some policy space for a more ambitious framework that would gradually cover all Africa-EU relations, allowing increased trade and development coherence between sub-Saharan Africa and Northern Africa (see, on trade generally, the articles by Alan Matthews and San Bilal & Sean Woolfrey in this issue). Security and defence: Withdrawal of the UK from the EU Common Security and Defence Policy has implications for the EU’s security activities in Africa. It will affect EU financial contributions to the African Peace and Security Architecture, and thus donors’ ability to maintain support levels. On the other hand, the EU seems likely to speed up its integration process on defence and security, based on the Permanent Structured Cooperation (PESCO) initiative which, only a few months ago, was not considered credible. Britain impeded ever-closer union in this area. Post-Brexit unexpected opportunities may thus arise. In June 2018, the European defence ministers are expected to discuss a proposal to open PESCO to countries outside the EU, such as the United States, Norway, and the UK. This offers new prospects for EU external action, especially in the framework of Europe-Africa peace and security relations (see, on security cooperation after Brexit, the article by Simon Duke in this issue). Migration: A number of political and technical obstacles to immigration from Africa could arise following the UK’s withdrawal from, potentially, all four circulation freedoms provided by the single European market. The recent ‘Windrush generation’ scandal drew attention to the fragility of British immigration policy and public service management dating back to Theresa May’s days as home secretary. Lack of clarity on the present or future residence status of immigrants originating in African Commonwealth states entails serious risks (see, on migration after Brexit, the article by Giacomo Orsini in this issue). Regional integration: Brexit challenges the European integration project and even the EU’s credibility in promoting regional integration. However, it also presents learning opportunities for regional integration in Africa. The UK, too, is unlikely to abandon regional integration as a priority in Africa. Furthermore, it seems likely to continue supporting the link between trade and development pursued in the EPAs. Global issues: The UK has been proactive on global issues, like climate change and the Sustainable Development Goals (SDGs). It will certainly want to retain this influence through close links with the EU. Indeed, Brexit threatens the UK’s reputation as a global agenda setter. Without the ability to project power through the EU, Britain’s influence in other international forums will diminish. Overall, while the new British government will focus on securing short-term economic benefits, African countries will increasingly turn towards other funding and trading partners, such as China, Brazil, and India. The remaining EU countries will need to counter Britain’s exit by increased engagement in trade, development, and security policies in Africa. The draft MFF confirms an EU ambition to stay the course of strengthening its relations with Africa. Four directions of action and research could render post-Brexit EU external action more focused on the new challenges facing Africa and Europe. First, European and African integration processes need to be reactivated through increasingly effective communication and participation of citizens on both sides of the Mediterranean. Greater youth mobility could contribute to this goal. Second, drastic reconsideration needs to be given to the negotiations on the follow-up arrangements for the ACP-EU partnership. The partnership needs to be adapted to new realities in terms of costs and efficiency; institutional complexity should be reduced; and a major simplification and unification launched of financial instruments including the European Development Fund (EDF). Furthermore, post-2020 ACP-EU political dialogue and development cooperation instruments need to be effectively regionalised, with the addition of Northern Africa to make the new partnership geostrategically inclusive. Third, in a world of multiple alliances, the global challenges faced by Europe and Africa provide new impetus for their continent-to-continent relations. The JAES should be upgraded to a legally-binding alliance for mutual assistance on peace, defence, and security; on migration and mobility; and on sustainable development. The EU and AU, and their strategic allies, including Britain, should engage collectively on the key challenges of the 21st century. Last, but not least, strategic thinking is needed on UK-EU relations beyond 2030. Once the dust of Brexit settles, and Britain and Europe have completed their couples therapy, a new EU-UK relationship in the form of an association agreement can be considered (as suggested by European parliamentarian Guy Verhofstadt). Hence, without prejudice to the UK’s sovereignty, the acquis of European integration and external action, including Britain’s contributions, would not be lost. Philippe Darmuzey is honorary director of the European Commission. He researches, teaches, and writes on Europe-Africa relations, the security-development nexus, and development cooperation, partnering with institutions such as the University of Bordeaux IV-Montesquieu, various European and American analytical and research institutes and networks (ECDPM, EARN, CERIS, CERDRADI, DENVER U/Africa Today), and media networks (VOX Africa).